Another month has almost passed, and this year seems to just be flying by. 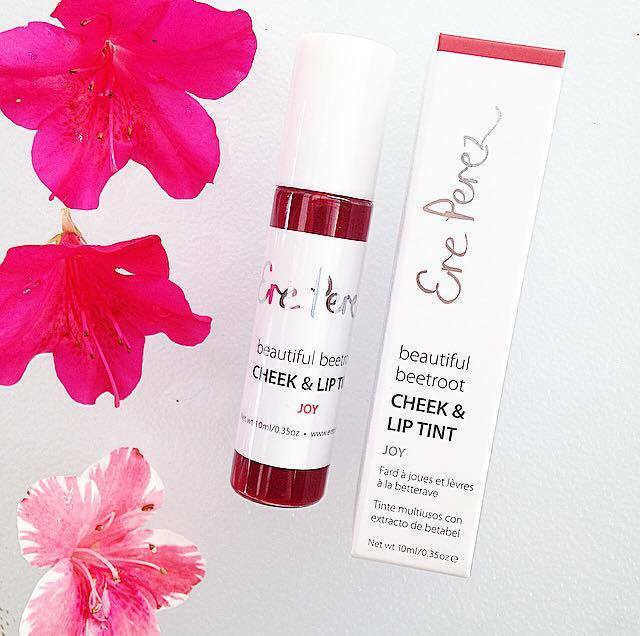 Today I have a review of Good Green's June Box for you guys, and it's a beauty! I was lucky enough to be sent a box to test out and give my thoughts, and I have used the products included for long enough to give my first thoughts. 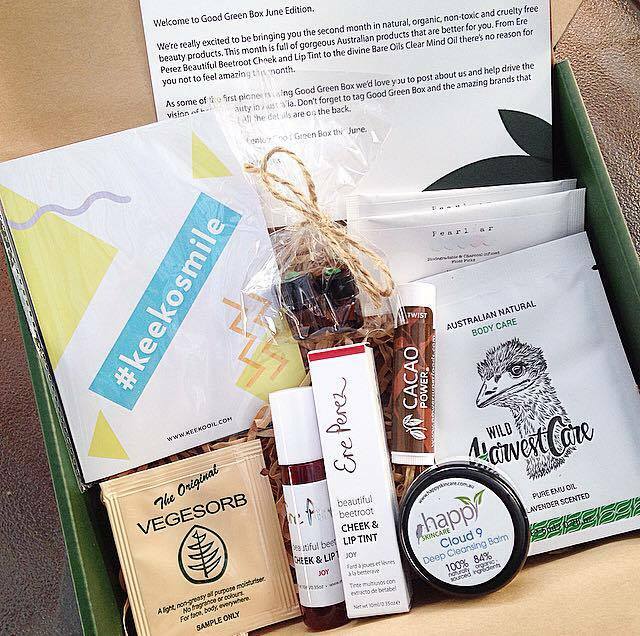 Good Green Box are a brand new Australian monthly subscription box dedicated to natural, organic and non-toxic skincare and beauty products. Good Green Box comes as a cute green box filled with 5-10 beauty, skin, hair and nail care samples/full size products for you to try out. I previously reviewed Good Green's May Box, which you can find here. I find Good Green's Subscription Box to be of great value, as it costs $25 per month but this month's box is valued at $65. If you are interested in reading my thoughts on the products included in the June Box, keep reading. Unfortunately, the June Box has now sold out, but you can sign up for the July Box now! You can also buy all products mentioned on Good Green's website. I was the most excited about this product in this month's box. It is a product made by one of my favourite brands and it is a full size product! I was curious to see how this tint performed. It applies a strong, bright red, but after you have let it sit on your lips for a few minutes, wipe off the excess and you will be left with a subtle flush to your lips. I love this! The stain this product leaves behind lasts all day. This can also be used as a blush product so you really are getting two products in one with this! I received two of these oil pulling samples in the flavours Citrus Burst and Sweet Sensation. I am a big fan of oil pulling for improving oral health, whitening and leaving your teeth feeling like you have just been to the dentist. 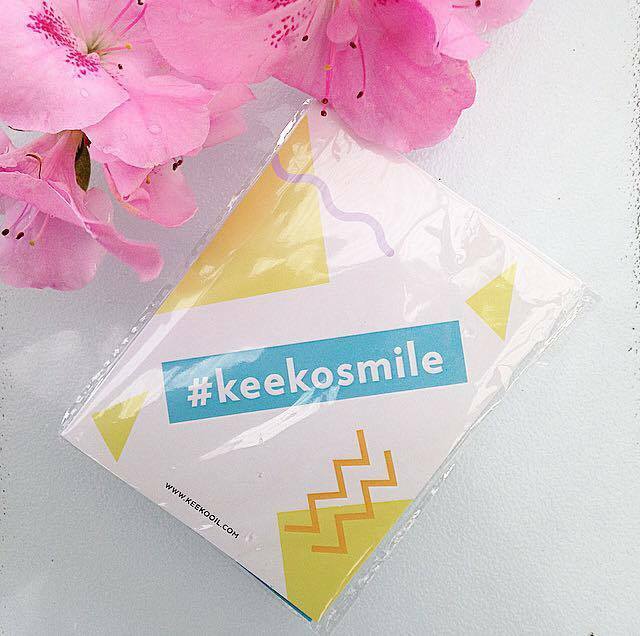 For those not familiar with oil pulling, you simply swish the oil from one of Keeko's sachets around in your mouth for 5-15 minutes and then spit into the bin. When I have oil pulled in the past I have used plain coconut oil, and I find these sachets much more palatable to use in comparison. 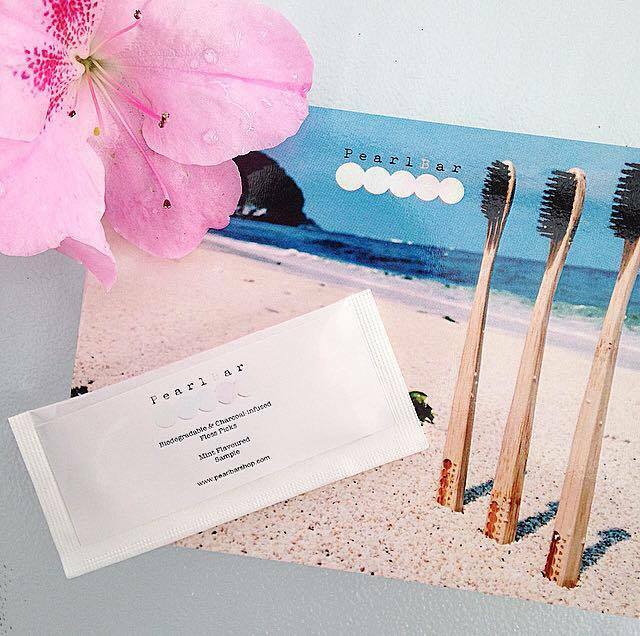 I have received a sample of these floss picks in another beauty box in the past, so I knew they were going to be good! It is the perfect product to pop into your handbag, as I often find myself personally wishing I had some floss/a pick to freshen up after eating out. The charcoal in these is just a bonus. 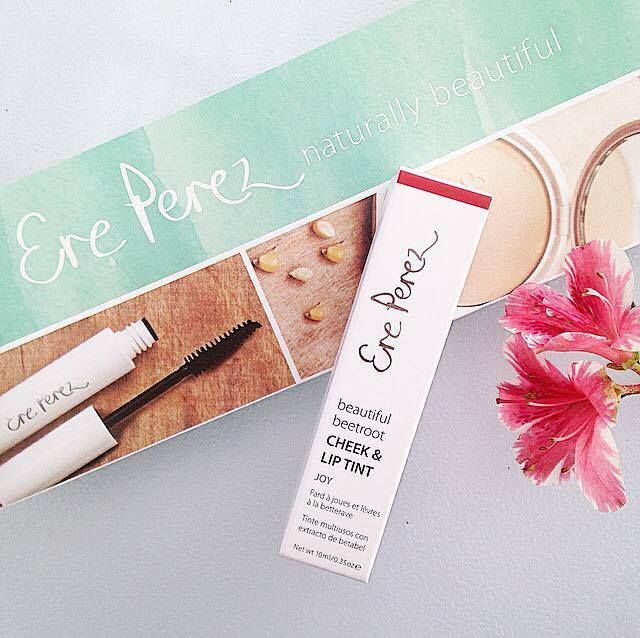 I have previously reviewed this product on my blog, and I loved it! 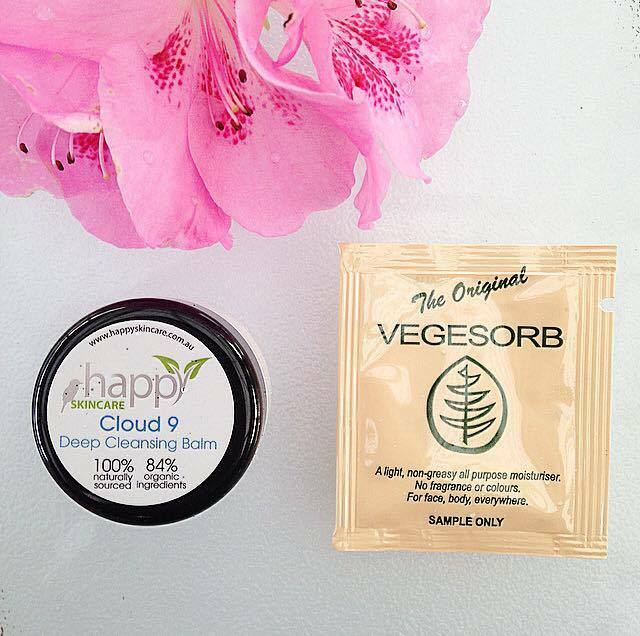 You can search my site for the review, but here is what I had to say: "This balm is perfect for removing makeup, sunscreen and other gunk that accumulates on your skin throughout the day. My absolute favourite way of using it is massaging it into my dry skin, then hopping into the shower. I let it sit while I wash my hair and let the steam penetrate, then rinse it off well with my hands last thing. I find that applying this before a shower helps protect my skin from drying out from the warm water, which I need! If you aren't showering, you can use a warm washcloth or a konjac sponge to remove the balm instead." This also smells glorious. Last month contained samples of Vegesorb Moisturiser as well. I actually don't mind as I love this product as it is fragrance free, moisturises so well, and can be used anywhere. I actually haven't got around to grabbing the full size bottle yet but these samples will carry me through until I can get it. 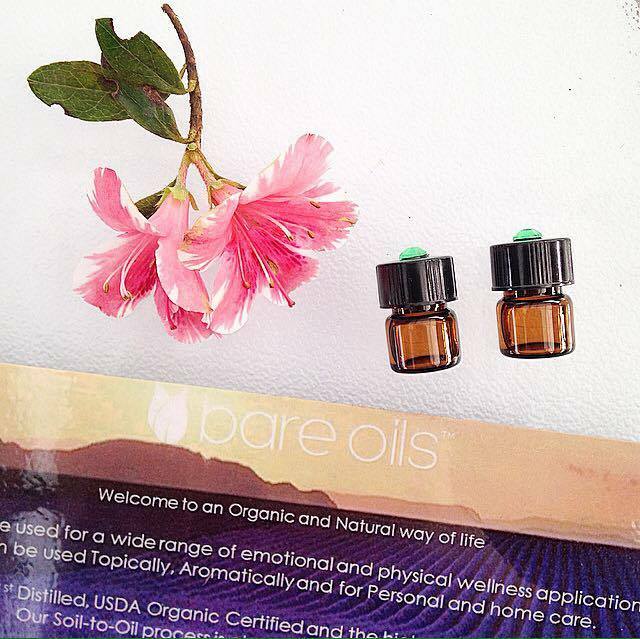 Essential Oils are one of the best natural ways to relax and rest your body. I love how concentrated these are; just pure essential oils of lavender, peppermint and rosemary. This blend is designed to relax, provide headache relief, undo muscle tension and calm the emotions. It smells beautiful and can be used in a diffuser, rubbed into your neck/feet, or even on a tissue to inhale when you need. As you only need a drop or two, these little samples are more than enough to know if you like the product. 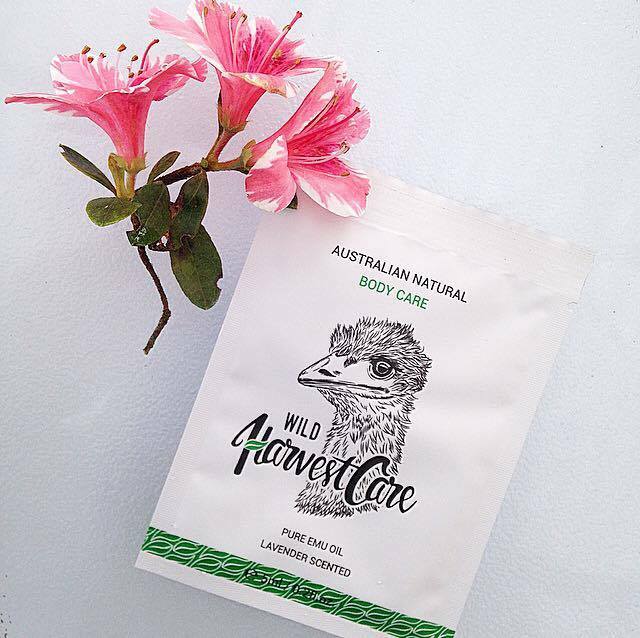 I have heard lots of great things about emu oil, and how moisturising it is to skin. This oil is quite thick and smells like a combination of lavender and patchouli. it hydrated my skin and left it feeling so soft, but I wouldn't buy the full-size as I prefer to use plant oils over animal derived ingredients when possible. I love that this is another full-size product. I was excited to find a lip balm in this months box as I am the queen of lip balms, as my partner can attest. I keep one everywhere, and am constantly losing them and simultaneously finding them in all of my pockets. 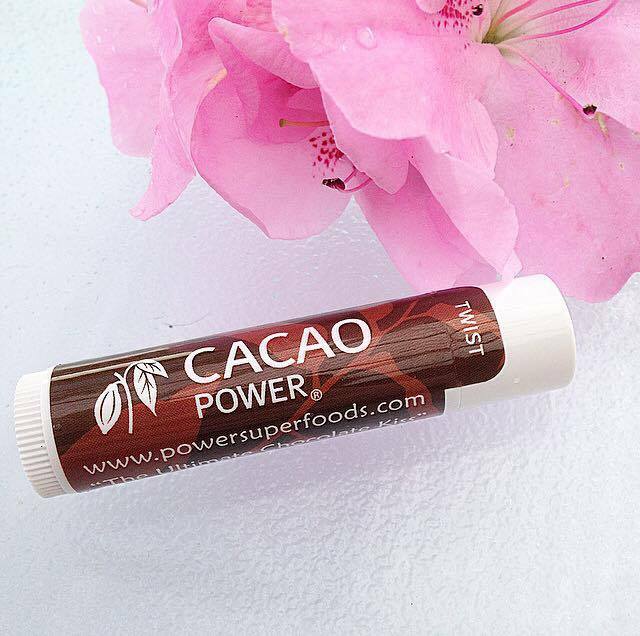 This lip balm has an amazing cacao scent which chocolate lovers will enjoy. It is nice and thick and leaves lips hydrated for a long time.